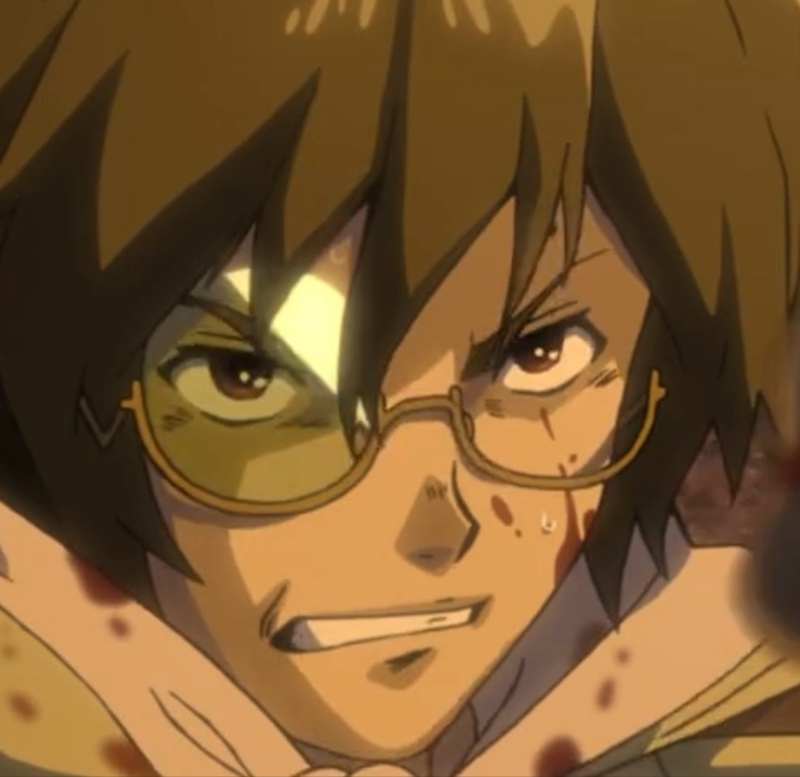 Kabaneri of the Iron Fortress Episode 1: Zombies from Hell! What’s worse than zombies you have to kill by stabbing in the head? In Kabaneri’s first episode, Frightened Corpse, we find out: Zombies you have to kill by stabbing in the heart — and that have metal cages around their hearts, that’s what! Note 1: There are spoilers ahead! Note 2: This series is streaming from Amazon Prime. It’s a new series, but Amazon already has some interesting merchandise related to it. Here are some examples! The Kabane are zombies that only die if you stab them through the heart — and their hearts are encased in metal cages. Capture from the Amazon Prime Stream. There’s blood on the flowers as the huge train roars by. The conductor announces that they’re coming up on an abandoned station, and if they stop, they die. The train shudders as it slams into a horde of zombies (Kabane); they have glowing orange cardiovascular system and eyes. They try to break into the train as the crew repel them with pneumatic rifles. The only way to kill the Kabane? Shoot a projectile through their metal-caged hearts. In the train’s home station, the steam smith Ikoma tries to perfect a weapon that’ll make it easier to kill the Kabane. He’s strangely motivated; driven. He’s sick of watching humans survive by sacrificing others. He wears a strange green stone tied to his hand. Back on the train, a Kabane bites one of the defenders (bushi). His compatriots surround him, urging him to do what he needs to do. He takes the package (suicide bag) thrown to him, places it on his chest, says goodbye to his mother, and pulls the string. The device blows his heart out his back. Mumei is a passenger on the train. She awakens as the battle ends and laments that another station has been lost. Outside, the nighttime landscape glows with the orange light from the Kabane. The train’s home station is Aragane. The next morning, a man worries that their city won’t last. His friends hush him because they’re afraid the bushi will hear and retaliate. Ikoma is working with his fellow steam smiths to repair trains. They tease him about his interest in building an anti-Kabane weapon. Ayame, a young woman in the station’s ruling family, asks Ikoma to repair her father’s steam gun. The train arrives early. The steam smiths have to clean the blood and gore off the train. Ayame’s father exempts Mumei from the Kabane inspection process, proving that rank has privileges — and exasperates Ikoma’s hatred of the system that keeps people cowering in fear of the Kabane. A train passenger under suspicion of being bitten tries to escape. Ikoma protests that the man has no sign of a bite and that the bushi’s own rules say he should be monitored in prison for three days. The bushi gun the man down and reaffirm Ikoma’s determination that humans have become cowards. Apparently, Ikoma’s words offended the ruler, who had him beaten down and thrown into jail. Ayame, when she questions her father, receives the answer that the bushi must defend order, too. That night, Ayame practices her archery while Mumei escapes into the night, bored with the official proceedings behind her. She visits Ikoma in the open air prison and agrees that people are generally cowards; she’s interested when he says they can do better. A train arrives at Aragane, but instead of slowing down, it plows into the train yard. Everyone onboard had been bitten and had turned into Kabane. As the train crashes into the station, the Kabane tumble out and swarm the station. 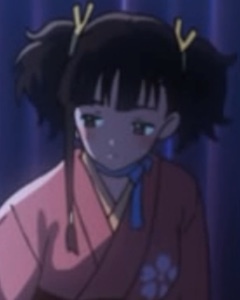 When Mumei hears the warning bells, she leaves. Ikoma picks the lock and escapes to his workshop, where he has his prototype weapon. Ayame is dismayed when she sees her father leaving, ostensively to evacuate the shogun. The bushi force people trying to flee to submit to bite examinations, which means no one has time to actually escape. Ikoma battles the Kabane in his workshop. His gun works! But he doesn’t get away unscathed. Capture from the Amazon Prime Stream. Ikoma lures a Kabane into his workshop. He didn’t expect it to crash through the ceiling, so there’s a scuffle before he can fire. The projectile pierces the Kabane’s heart, killing it. As he’s celebrating the success of the weapon he built, Ikoma discovers he’s been bitten. The bulk of the population considers the Kabane a magical curse. Ikoma doesn’t. He’s prepared for this. He straps himself down in case he’s wrong and begins the treatment he devised. He says he’s not the same as he was 5 years ago. Despite the tremendous pain, the treatment works with the help of the gem in his palm. He was bitten, but he did not become a Kabane. He’s armed, and he’s treatable. Mumei’s on her way to the train (Koutetsujou), but she encounters a Kabane. Using a blade in her shoe, she kicks its head off. It takes her a moment to dislodge the blade that stuck in the pillar beside her. The show introduced us to the Kabane in a graphic and effective way: the train trying to get through the fallen station. We got to see the Kabane’s inhuman strength and the lethal danger they present for humans. 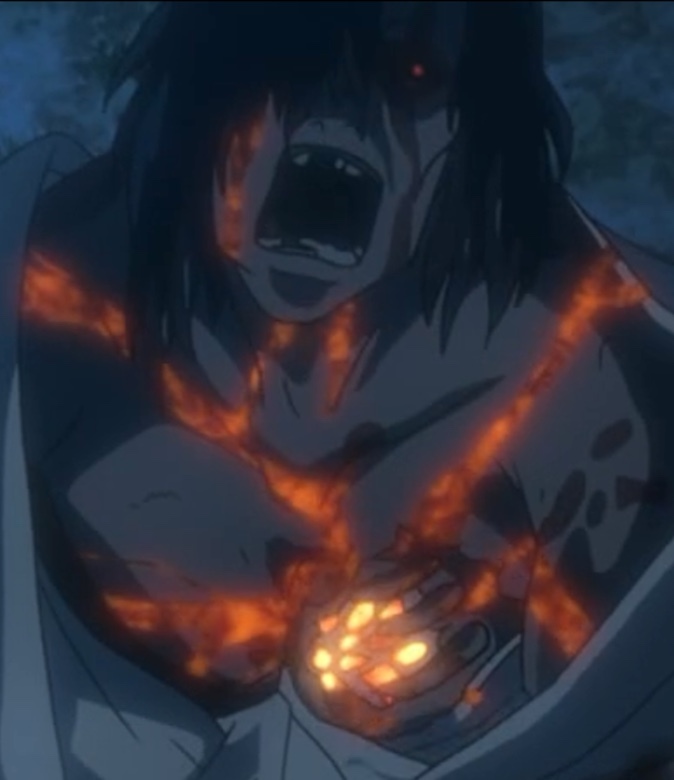 The show also showed us that the Kabane aren’t the only enemy. There’s also that old human standby – classism. The ruling elite assume privilege that, when combined with the Kabane, proves lethal for the bulk of humanity. Ikoma was following a process of invention and discovery. I liked that he experienced failures and had to regroup; that’s how discovery works. I like realism. Yes, the Kabane are zombies. But they’re not cliche zombies. First, there’s the whole metal-cage-around-the-heart-thing. Second, when the train crashes into Aragane, a bushi shoots a Kabane. Another sees the first Kabane fall, then reacts with fury. These zombies have an awareness beyond what I expected, and I liked that. The Kabane react with emotion when one of their own is killed. Capture from the Amazon Prime Stream. Ayame’s father leaves his daughter — and all of the people who looked to him for leadership — as soon as the Kabane appeared. I think this series is adept at showing that the Kabane aren’t the only enemy Ikoma and the people face. The rulers are so thoroughly corrupt that they didn’t establish an evacuation plan and drill the population in its execution. At least, that’s the explanation I’m telling myself (and not that the writing team forgot about it!). I really can’t believe that given their situation, there wasn’t some kind of civic plan to compartmentalize the Kabane and evacuate the citizens! Mumei nonchalantly prepares to defend herself against the charging Kabane. Capture from the Amazon Prime Stream. The director from High School of the Dead (I may or may not have a thing for Busujima) and Attack on Titan brings us Kabaneri of the Iron Fortress. The frenetic pace is similar between all three, and it works here with chilling effectiveness. 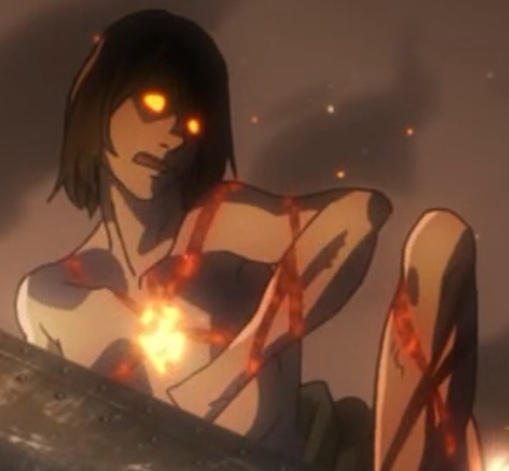 As Theron Martin says in his review on Anime News Network, this show has amazing animation. It looks theatrical. The framing, the color, the pacing, everything is luscious and beautiful. This first episode sets up the major points of drama: Ikoma regrets his weakness in the past, and so is fighting to redeem himself in his own eyes; he even wants to redeem and save humanity. The ruling class cares more about order than about those they’re supposedly ruling. And, of course, the Kabane are coming after everyone. The quality of writing, plus the quality of animation, impressed the daylights out of me. And it’s on Amazon Prime! I feel kinda bad that I’m not covering Funimation this season, but dang it, Amazon Prime came through! This series had an amazing first episode. I really hope it continues to impress me. The Asterisk War Episodes 13 and 14: Back in the Saddle, Plus a Maid!